The small complete set of cattle feed pellet mill is developed independently by our company. 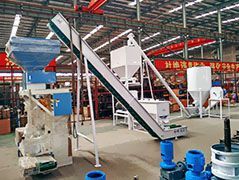 This small plant includes crushing machine, feeding machine, mixing machine and pellets manufacturing machine. It can be customized depending on different capacity and different kind of livestock, cattle and poultry, fully meet each customer’s demand. Processing range of raw materials: corn, soybean, meal, wheat bran, rice husk, corn straw, peanut shell, straw and other common raw materials related to feed formula. 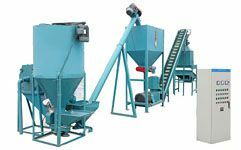 Applicable field: This small set of feed pellet mill is designed for small scale animal farms, poultry farms, individual farmers. 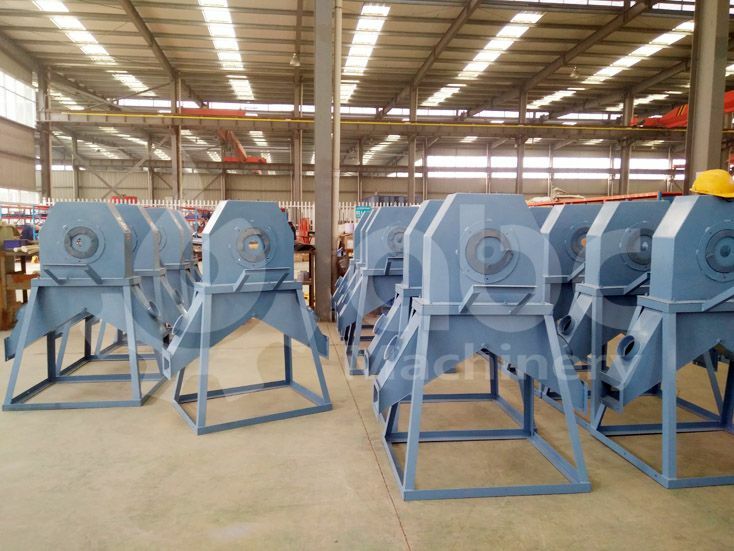 Firstly, different sizes of raw materials are feed in the crusher to be grinded to suitable size for pelletizing. The crushed materials will be sent to the mixer then delivered to the feed pellet mill machine. The following video shows the working condition of our newly developed mini cattle feed pellet production line. Feel free to contact us if you are interested to get more information and latest price. 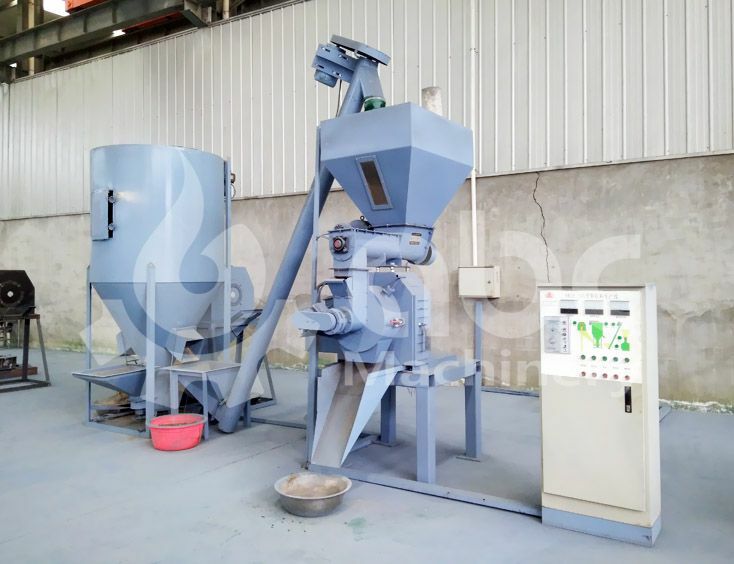 The feed pellets produced by our small feed pellet mill plant are featured of high hardness, smooth surface and internal cooked, good for the animal digestion and nutrients absorption. 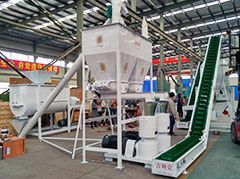 With suitable design, the pelletizing process can cause degeneration effect of the pancreatic enzyme boycott factor in the grains, legumes, so that to kill all kinds of parasitic ovum and other pathogenic microorganisms, reduce the adverse effects on the digestive and diseases of the digestive system. Compared with mixed feed powder, feed pellets have higher economic benefit. Under the high temperature and high pressure during the pelletizing process, the animal feed materials produce full-bodied fragrance. They are best choice for livestock and poultry animals such as pig, cattle, sheep, chicken and rabbit, nutrition absorption rate increased by 300%. If you are a large animal feed manufacturer and need a medium scale or large scale commercial animal feed production line, you may need a turnkey project solution. Tell us your capacity needs, raw material information, and plan to feed what kind of animal, then our engineers will offer you a customized business plan, equipment list and project cost. Don’t hesitate to contact us if you have any questions! Business Visit to Pakistan is Under the Way! What’s the Economic Benefit of Wood Pellets? What're the Solutions to Pelletizing Difficulty and Low Productivity? 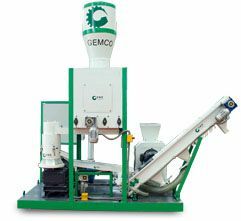 What Type of Materials can be Pelletized by GEMCO Pellet Mill? 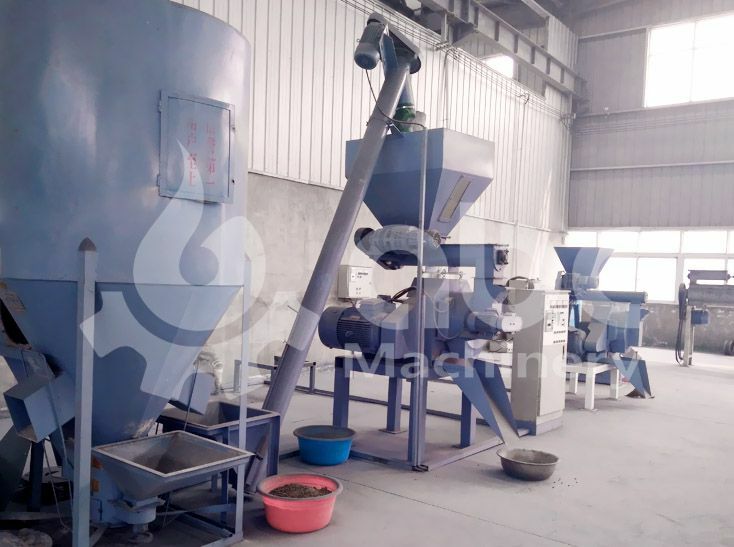 Small pellet Making Machine | Ring Die Pellet Maker | Wood Pellet Production Line | Sitemap © Anyang Gemco Energy Machinery Co.,Ltd. All Rights Reserved.